Just as was observed last month, the median sales price for homes sold in Reno and Sparks, Nevada pulled back sharply for the month. September’s median sales price came in at $335,000 — representing a 3.7 percent decrease from the $347,808 median sales price seen in August. 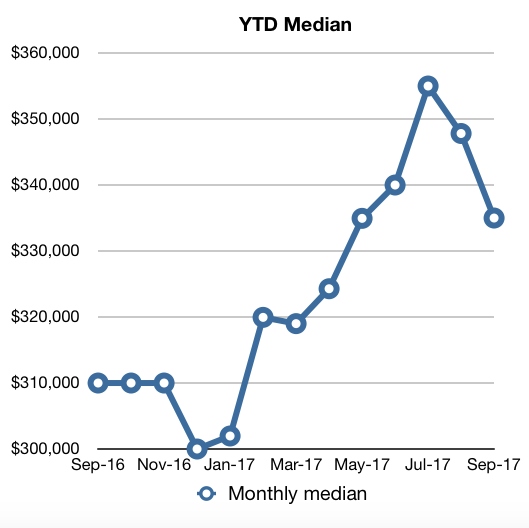 September’s median is now off 5.6 percent from the year’s high of $355,000 set in July. Year-over-year, September’s median sales price is up 8.1 percent over September 2016’s median of $310,000. The number of houses sold also dropped significantly for the month. 592 houses were sold in September. This number represents a 17.7 percent decrease from August’s whopping 719 homes sold, as well as a 6.5 percent decrease year-over-year. That being said, September’s 592 houses sold brings this year’s total units sold to 5,222, which is 4.5 percent ahead of the 4,996 total homes sold at this time last year. Despite the drop in the median sales price September’s median sold price per square foot (ppsf) rose for the month to $195.25/sq.ft. — a 2.5 percent one-month increase from August’s $190.53/sq.ft. Year-over-year, September’s median sold ppsf is up 11.5 percent. September’s median days on market (DOM) came in at 59 days — removing two days from August’s median DOM. Available inventory fell for the month. Currently there are 925 houses listed available for sale. That number represents a decrease of 2.8 percent from the 952 houses available for sale this time last month. Year-over-year, September 2017’s inventory is down a whopping 36.3 percent. Pending home sales also fell. Currently, there are 889 houses pending sale — down 13.9 percent from the 1,032 pending sales this time last month. This decrease will result in fewer sales in October. Year-over-year pending sales are down 4.2 percent. 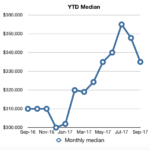 September’s median sold price for houses and condos combined was $320,000 — a 1.9 percent one-month decrease from August’s median sold price of $325,900 for combined sales of houses and condos. Note: The medians table above is updated on a monthly basis. The median home price data reported covers the cities of Reno, Nevada and Sparks, Nevada [NNRMLS Area #100]. Residential data includes Site/Stick Built properties only. Data excludes Condo/Townhouse, Manufactured/Modular and Shared Ownership properties. Data courtesy of the Northern Nevada Regional MLS – October 5, 2017. Note: This information is deemed reliable, but not guaranteed. 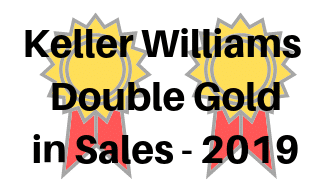 This entry was posted in Agent Insights, Market Trends and tagged call Guy Johnson, days on market, I’m your Guy, median home price, Reno housing market, reno median home price, Reno Real Estate, Sparks housing market, sparks median home price, Sparks real estate. Bookmark the permalink. PPSF still has a way to go to get back to Oct. 2005 peak of $223.06. Adjusted for inflation, it would need to be $276.38. Still ~30% off peak.